Ares Games will launch two projects on the Kickstarter crowdfunding platform: Sails of Glory, the awaited tabletop game of ship-to-ship combat in the Age of Sail, and Galaxy Defenders, a cooperative Sci-Fi tactical game. The Sails of Glory campaign will start on March 4th, while the Galaxy Defenders campaign will start after the first one ends, on April 16th. 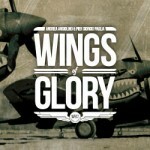 Sails of Glory is a tactical ship-to-ship miniature game, inspired by the best-selling Wings of Glory system. It will feature assembled and painted ship models, ready to play out of the box, and a game system designed to accurately represent battles at sea between the large sailing ships of the past centuries. 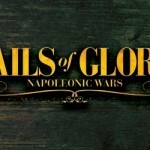 The first series of Sails of Glory will be set in the Napoleonic Age, an iconic period for naval wargaming. 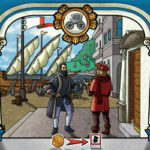 Prototype of one of the ships to be featured in the first series of Sails of Glory. 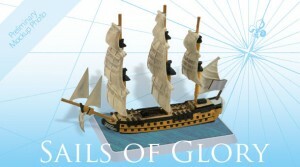 The initial release of Sails of Glory, (scheduled for July 2013), will include a Starter Set - an all-in-one starting point to begin playing - including four fully painted and assembled ships, and 12 different Ship Packs. Backers on Kickstarter will have exclusive access to four of the ship models: the French frigate La Concorde, the French ship-of-the-line Fougueux, the British frigate HMS Juno, and the British ship-of-the-line HMS Bellerophon. 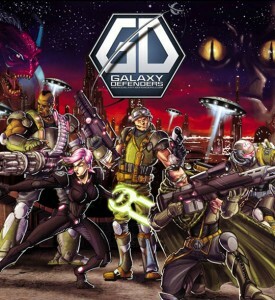 Galaxy Defenders is a game developed by Gremlin Project studio and published and distributed by Ares Games. 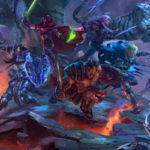 Up to 5 players fight together against an incoming alien menace. Inspired to the Sci-Fi cult movies of the 80s and 90s, the game will feature high-detailed 40 mm scale miniatures and an innovative A.I. system to control the alien invaders. 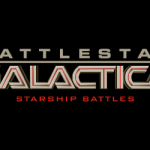 The battle for Earth against the aliens develops in a series of scenarios organized in a story-driven campaign, and remains balanced independently of the number of players. 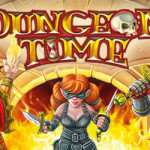 Limited edition miniatures will be available only for the players backing the game on Kickstarter. “We have great confidence in Sails of Glory and Galaxy Defenders, but they are both very ambitious projects. We are sure that establishing a connection with our customer audience through Kickstarter is the best way to enable us to fully match their expectations about these products. 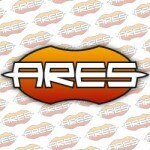 It will also help Ares Games to invest properly in the development of all the great ideas we've got to expand them”, said Christoph Cianci, CEO of Ares Games. More details about the Sails of Glory and Galaxy Defenders campaigns on Kickstarter will be soon available.